Geneticist Mary-Claire King recently accepted the prestigious Laskar science award and during her acceptance speech, she surprised many by sharing her recommendation that genetic screening for brca1 and brca2 mutations should be made available to all women around age thirty as part of routine medical care. This would be an option, not mandatory. Ever since I heard about Dr. King’s announcement, I’ve been trying to figure out where I stand on this issue. I have been reading with great interest many of the articles written after her stunning (to some) recommendation. At first I was torn, but after thinking more about it, I know where I stand. I am with Dr. King on this one, with one hugely important caveat, which would be requiring that such testing be partnered with genetic counseling. Counseling would be an absolute must before testing, and after as well, if one tested positive. I’d also be in favor of offering the test way earlier than age thirty. I say why not offer universal testing to women who want it? What good does sitting on this kind of information do? It reminds me of when a person is writing a research paper, but cannot complete it because she is missing a vital resource. Without the resource the paper goes unfinished or lacks a vital component. When a person is planning her life and making choices about her future medically speaking, but is missing an important piece of information that is available but hidden to her, is her plan truly complete? Many women with mutations in these genes are identified as carriers only after their first cancer diagnosis because their family history of cancer was not sufficient to suggest genetic testing. To identify a woman as a carrier only after she develops cancer is a failure of cancer prevention. Such was the case in my family, the history part I mean. My mother was a brca2 mutation carrier, but we did not know this piece of information at the time of her diagnosis. If we had, things might have turned out differently for her. If we had, undoubtedly her course of treatment would have been different. My family history is complicated (whose isn’t?). There were not enough of those infamous red flags to warrant testing at the time of her diagnosis. We were missing an important piece to the puzzle. A piece we knew nothing about. That piece came later, but that’s a different post. This is a basic premise and one reason why Dr. King made her recommendation. The red flags are sometimes not there in families with brca mutations buried in the DNA, families such as mine. Obviously, my mother could not have been tested around age 30; this was not yet an option back then. It was not an option when I was thirty either. However, the science is here now, as is the testing option for young (as well as older) women. Again, what good does sitting on this information do in regard to saving lives now? One main reason I’ve read that’s been cited over and over again for not supporting universal testing is because it would be too complicated. To be sure there are yet to be answered questions about implementing this kind of universal testing option, however, is being too complicated really a good enough reason to not do it or to at least not set the wheels in motion? I imagine things would be chaotic in the beginning, but surely matters could be sorted out over time. Sometimes chaos forces solutions and the implementation of them. Another big question is cost. Who would pay for all this testing? But wouldn’t cost plummet as demand continued to increase? Isn’t this already happening with more testing and more competition between testing companies? The main factor I wish to address that has bothered me in many of these anti-universal brca testing articles is the fear factor. It’s been stated over and over that the option of universal testing would create undo fear resulting in women making fear-based decisions about prophylactic surgeries and other procedures. I don’t buy that argument and, in fact, I find it rather condescending. Women do not need others dictating what information they are capable of hearing, deciphering and handling. Women are perfectly capable of making sound decisions about their own bodies. Women are not fragile, fearful beings; nor do they need protection. Of course, the information given to them (and to men) would need to be accurate, complete and clearly presented. Another concern I’ve read about is that if a woman tested negative, she’d assume herself to be in the clear (she would not be) and she might then believe she’d never get cancer (she still could). I presume the assumption some are making is such a woman might get a bit “reckless” concerning her health decisions. Again, women are smarter than that. In addition, upon reading some of these articles opposing universal brca testing, one might think every woman who reaches age 30 would rush out to be tested. More than likely, this would not be the case. Testing is and would continue to be a personal decision and every woman would not choose to be tested. It also seems it’s too often assumed that most women who would test positive would subsequently rush to undergo prophylactic surgeries. Again, this is not likely to happen. Women do not just amputate their breasts or remove their ovaries and other body parts without putting considerable thought into such decisions. Active surveillance would continue to be a viable and chosen option for many women testing positive. Need proof that not all women rush into this kind of thing? 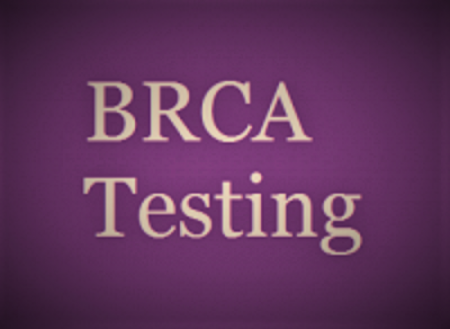 After learning my mother was brca2+, I did not rush out to get tested. Like usual, I decided to take my time and think things through. I thought I had time. It turned out I didn’t. But the point is, I did not rush to test, nor did I rush to remove body parts. In my case, I should have acted more fearfully. The bottom line is I wish I had had an opportunity to be tested at age 30. Undoubtedly, I would have thought about it for a few years, but more than likely I would have had the test, taken the proactive route and quite possibly avoided a cancer diagnosis. Universal testing would make this a reality for more women. I realize my personal examples are antedoctal in nature and I know fully well there would be problems with offering universal genetic testing for brca mutations. This is the direction we are headed in is it not? If we’re not ready, perhaps we better get ready. Let’s get things rolling now. If it’s complicated, let’s start figuring out solutions. Let’s get the medical community on board. Let’s better train medical professionals across the board in genetic matters. At the very least, let’s keep this discussion moving forward. Note: I do not address men being offered universal testing in this post because that is not part of Dr. King’s recommendation and her recommendation is what I am responding to and supporting in this particular piece. Do you feel brca1 & 2 mutation testing should be available (as an option) to all women around age 30 – why or why not? If available to you, would you choose it, or would you have chosen it? Sign up to get weekly updates from Nancy’s Point! Yes, Nancy, with some caveats. Genetic counseling IS key. A patient should be fully informed and emotionally equipped to deal with a positive result. I know firsthand the emotional toll a positive test can take. Psychological counseling should be part of the equation. I am also concerned 30 is too old considering the number of young women I know who have been diagnosed with HBOC in their 20s. Additionally, universal screening cannot happen overnight. We must create an infrastructure so our healthcare system won’t crumble under the burden. Bottom line I believe every patient has the right to know any hereditary health risks. They can then take better preventive measures in terms of practicing active surveillance or having prophylactic surgeries. I’m grateful I was given the choice. Btw, something tells me genetic counseling is the field to be in now. Nicki, Thank you for taking a stand. Not that many are willing to do so. I agree completely that counseling needs to be a key component. And I think you might be right about genetic counseling being the field to be in. Thanks again for commenting. Good post. As soon as I found out a cousin’s family had the gene and had been traced to a small valley in Norway, where my Grandmother was from, I notified my sisters. My cousin’s family had sent me the information. My cousin and her son had already died from cancer. I sent my sisters information sealed in an envelop inside an envelope so they could open or not. People some times react differently to finding out negative news and would rather not know. I was grateful for the information and had testing done. I too was positive. 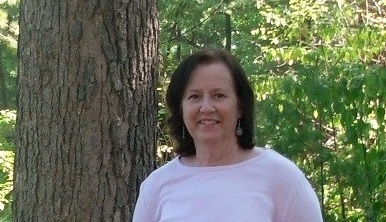 I had already had cancer, prior to the gene news, so now I am monitored more closely. Yes, I agree. It should be an option. I had no counseling before or after. I remember being shocked at how many people were gathered in the room when I was told I was positive. I was alone. I was pretty sure I was positive. I just figured it was one more thing on life’s path to deal with. As a physician who focuses on breast cancer, and a scientist who has worked diligently to find additional markers of cancer risk, I have very mixed emotions about universal BRCA testing. I have mixed feelings because of where we already are with BRCA testing, because of how BRCA testing was “developed” by Myriad. First, there is a huge range of cancer risk for BRCA mutation carriers, but this information has never been shared, instead, everyone just gets quoted as having an incredibly high risk as a result of having a BRCA mutation. Second, based on this often inflated quoted risk, the physician community almost universally pushes very radical surgeries on BRCA positive patients. I have had many patients as well as friends who have dealt with this, and it is hard to watch. Third, there really is an incredible campaign of fear that has been used about BRCA. I would actually hate to find out I had a BRCA mutation today, because of all of those things. Today, having a BRCA mutation is considered bad news, even though for some it probably really isn’t. What I do completely agree with is that these types of markers should all be used for prevention, but unfortunately BRCA NEVER was, and that ship may have sailed. The fundamental problem is that “prevention” is not profitable, so companies like Myriad do not develop products this way. Insurance companies will not pay for prevention, primarily because people switch insurers every 3-5 years, thus, they would be paying for someone else’s cost savings. That isn’t going to change, even with the ACA. This problem requires a new model and solution, such as a non-profit, that sets a price point manageable to be paid by most women directly, and the ability to support those women that can not afford it. This avoids the insurance challenge, and could be a viable pathway for developing markers enabling prevention. We hope to prove the viability of this approach through MiraKind. I wish someone would have pushed those radical surgeries on to me. Turns out 100% of my female relatives on my dad’s side have died of BRCA2+ related cancers. Yep 100%. Given the chance to avoid being the next in line would have been great. But as it was, they would not test me because I had no sisters and neither did my dad. Now I live daily in pain and with a whole host of other side effects from my cancer treatment. CRAP! What I wouldn’t give to go back and do it all again, just to see if the outcome would have been better had I known. I know there are good reasons that those surgeries are pushed for many. My point was only that all BRCA2 mutations are not the same, and we do not have that information to share with patients. Your BRCA2 mutation is clearly a serious one. Dianne, I hear you. My family is one of those ‘problematic’ ones where there weren’t that many red flags that we knew about and so there was no testing. It is a complicated issue, but we need to start figuring out where to go from here. There are young women (and men) out there who could really benefit from this knowledge and those are the ones I am thinking about. Thank you for sharing your perspective here, Dianne. Joanne, If I’m understanding things correctly, Dr. King’s recommendation suggests that the reporting following testing would “focus solely on unambiguously loss-of-function mutations with definitive effect on cancer risk.” In other words, only the actual high risk cases would be the ones where such surgeries would be recommended as a possibility. That’s very important. Your comment definitely strengthens my point that better training regarding genetic matters needs to be implemented for physicians across the board. We need to start getting ready now. And your point that prevention is not profitable is a good one. Thank you for sharing your insights on this. Thanks for you thoughts. In fact I mean that the “deleterous loss of function mutations” have an enormous penetrance range. There will be a paper coming out in the next month from a group at UCLA showing this ranges from a 15-85% lifetime breast cancer risk. This is basically no increased risk verses high risk. Thus, my belief is not due to a lack of education in genetics, but instead a lack of belief in Myriad’s enormous marketing efforts. Thank you Nancy for this thoughtful informative blog regarding genetic testing for HBOC syndromes. Universal testing proposed by Dr. Mary Claire King is bold, empowering and life saving. Even the scientist herself never mentioned that it be mandated, but rather it be recommended as standard of care for women who want it, beginning at the age of thirty. I would drop it a notch to age 25 and above because many BRCA women are predisposed to developing cancer at younger ages, especially when HBOC related cancers can be traced back to 3-4 generations. For universal testing to happen , a multi disciplinary task force should be implemented to ensure certified genetic counseling be employed effectively & carefully prior to testing. Fully informed decision making creates positive outcomes and better patient satisfaction. So how do we begin testing every woman? We don’t , instead we could implement a tiered approach over a period of time, perhaps a five year plan. Begin with populations at risk, but often ignored. Evaluate & identify women with paternal family histories, zeroing in on melanoma, prostate, pancreatic cancers too . For every woman with TNBC and no family history, test them. Better yet , identify women whose female relatives had TNBC and make them red flags. If a woman develops OVCA at any age & despite the absence of family history, test them too. New research is now demonstrating cervical cancer and salivary gland tumors being linked to the BRCA 2 gene. We need to red flag them too, as a level 1 tier for recommended testing. Later, more women can gradually seek testing as NGS becomes more cost effective , and as more genetic counselors become available and finally as risks with other lower penetrance genes such as PALB2, CHEK2, and RAD51C just to name a few, are more fully understood. Personalized medicine via genomes offer prevention like never before. We owe it to ourselves and to future generations to act now. Like Nancy, I would ask, ” what are we waiting for ? ” Seek and you shall find. Lisa, Thank you for your well-articulated comments. I mentioned the mandatory thing because someone mentioned to me she thought this would be a mandate, which of course would not be the case. I like your idea of a tiered approach, though one concern of mine is that sometimes there are no red flags to speak of. Testing every woman with TNBC sounds like a good idea, or even as you mentioned, testing women who have relatives with TNBC. And testing every woman who develops ovarian cancer makes sense. It’s interesting that cervical cancer and salivary gland tumors might also be linked to the brca 2 gene. I didn’t know that. Lots to learn yet that’s for sure. I agree that it’s time to act now by making some plans, training more professionals in genetics and genetics counseling, and getting ourselves better positioned because this seems like the wave of the future. Thank you again for sharing your insights and taking a position on this. Absolutely genetic testing should be universally available — my feeling is that knowledge is power and there is no harm in telling people what is known about a given mutation. Even a range of risk is better than not knowing about a positive test — there is always the possibility of doing more intense surveillance with elevated risk rather than rushing to mastectomy. People make choices based on information they have, so why not help women to know what their actual risk may be? Also if we could do more testing and track longitudinally what happens to these people with different mutations and variants, we would fairly quickly be able to assess risk based on those outcomes. I knew of my BRCA1 mutation for quite a long time (nearly 10 years) and chose to delay surgeries in order to have and breastfeed children; this was a calculated risk that didn’t quite work out for me but at least my cancer was caught early by MRI screening because I had the knowledge. By not testing we ensure that some families will only discover the presence of a mutation after one or more family members get cancer, and that is tragic and unnecessary. No one should have to die of BRCA-related cancer in the 21st century. KJ, Your last sentence says it all… thank you for reading and sharing your opinion on this. Lara, I’m wondering what prompted you to take that 23AndMe test… Your family is a good example of one without those red flags. Perhaps families with any pancreatic cancers could be included in that tiered approach that Lisa was talking about. Thank you for adding to this important discussion. I appreciate that you shared your position. Nancy, I only took 23andme for the genealogy aspects. I viewed the health information as a fun bonus. Little did I know…. Excellent post on a very important topic. I jumped in late on this conversation, but reading through the comments and your post, I know where I stand, too. I definitely believe that such genetic testing should be available, but like some have said, it should be available for younger women — I would recommend 20 years old. Also, as some have said, genetic and psychological counseling is a must. Beth, Thanks for jumping in, there is no such thing as late here! And I think younger would be better too. Thanks for reading and commenting. In the USPSTF Recommendation Summary under population there’s no mention of half the population, men. The USPSTF recommends that primary care providers screen women AND MEN who have family members with breast, ovarian, PROSTATE, tubal, or peritoneal cancer or have an ethnicity or ancestry associated with BRCA1 or BRCA2 gene mutations with one of several screening tools designed to identify a family history that may be associated with an increased risk for potentially harmful mutations in breast cancer susceptibility genes (BRCA1 or BRCA2). Women AND MEN with positive screening results should receive genetic counseling and, if indicated after counseling, genetic testing. Rod, That is an excellent suggestion. Thank you. I agree that it should be available AND that there should be counseling. Sadly, I was diagnosed before all these saliva tests and was told that I didn’t fit the neat categories that allowed for my insurance company to pay for the test. So it wasn’t done. I am reminded of the tests that are offered when you’re pregnant (I have no idea what is done in 2019). I refused several of them and the doctor couldn’t believe that I wouldn’t take advantage of a test that would show if the baby was damaged so I could terminate the pregnancy. I had the choice and I took that choice despite what he thought. Women deserve choices, options.